Business process modeling is an intuitive method for turning complex business and IT processes into simple visual diagrams. BPMN, the ‘Business Process Modeling Notation’, utilizes a number of ‘Activities’ to group various processes, essentially forming the building blocks with which BPMN diagrams are constructed. In a world where IT and technology are playing increasingly crucial roles in virtually every industry, having a perspective of your company’s IT framework is absolutely essential. The value of BPMN comes from the fact that it can make these frameworks simply to understand, providing more of a holistic perspective which can be invaluable for key decision makers. 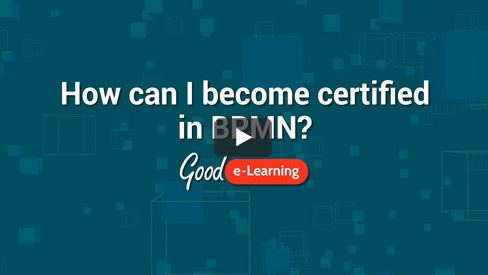 But what are the different BPMN Activities? How do they work, and how flexible are they? According to BPMN 2.0, an activity represents ‘work that a company or organization performs using business processes’, but what does this mean in terms of BPMN diagrams? In this video, Mike from Good e-Learning takes a look at what constitutes a ‘BPMN Activity’ and how they can be applied to boost the value of BPMN diagrams. Good e-Learning are a leading provider of online courses covering a variety of world-class business and IT standards, including ITIL, TOGAF, Lean, Six Sigma and BPMN. Rather than endless slideshows or dull audio narration, we utilize the latest online learning tools, including interactive videos, gamified quizzes and more. We offer a variety of Business Process Modeling Training assets, including articles, posters and whitepapers in our free online training resource library. Our BPMN 2.0 Foundation & Practitioner (level 1 & 2) course can also provide students with a comprehensive overview of the BPMN framework, along with 24/7 tutor support and practice examinations to help them retain their knowledge. Browse our full portfolio of Business & IT courses or visit our FREE downloads area for a wide range of posters, whitepapers, case studies and more from leading industry experts.